Mehndi holds an important significance in Indian weddings. 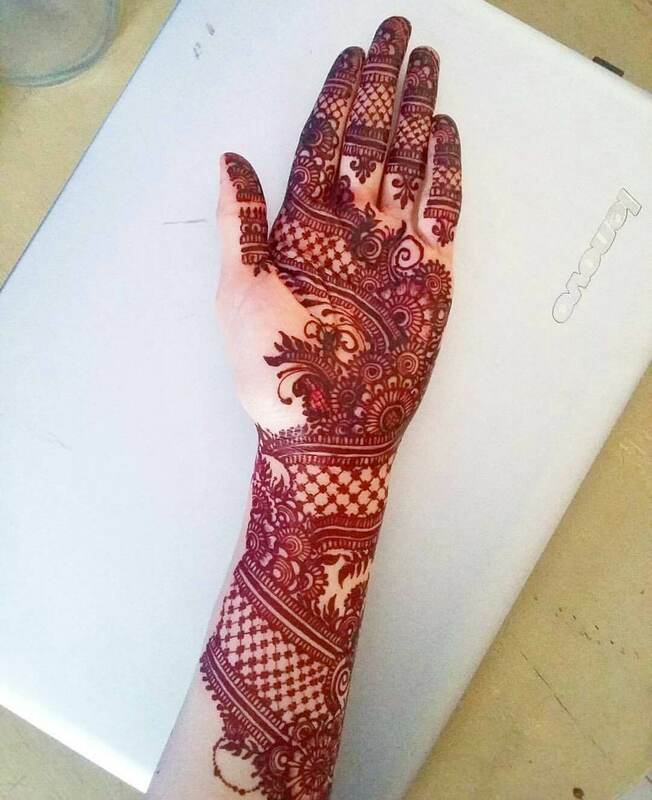 Every desi girl from her childhood, dreams of getting her hands adorned with the best and the most unique bridal mehndi designs for her D-Day. 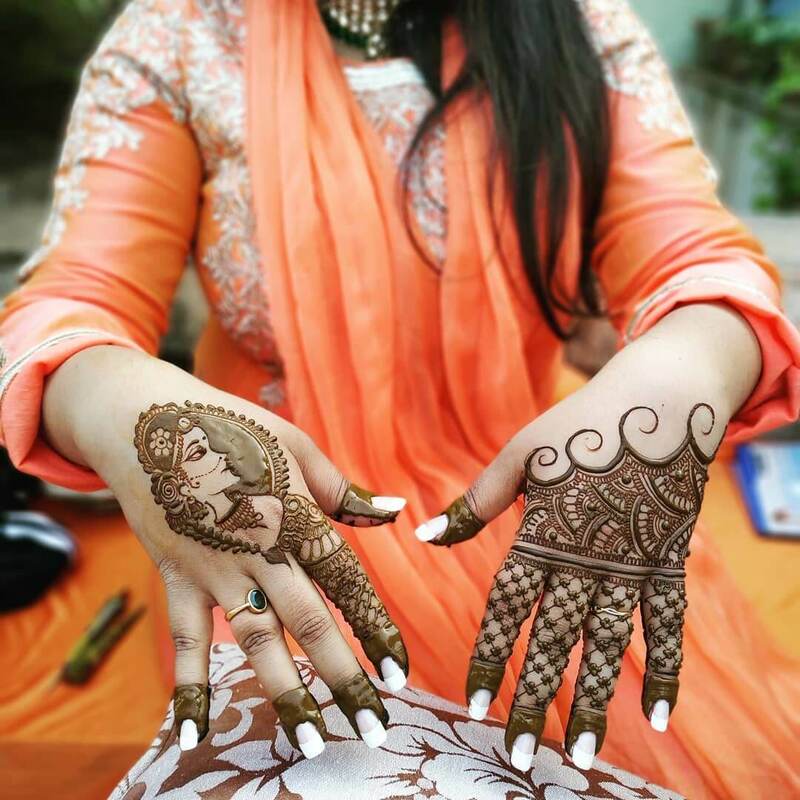 I don’t know about you girls – but I am totally crazy about mehndi! 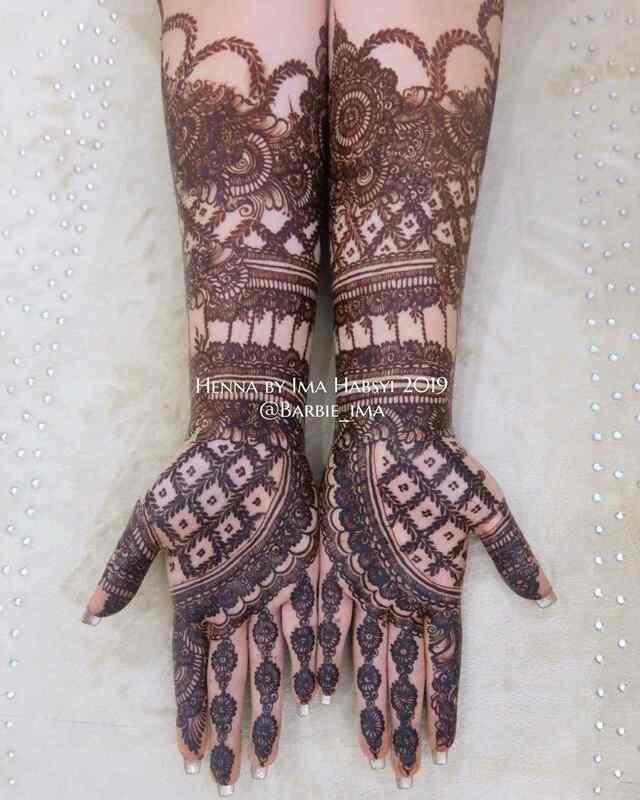 The mere sight of bridal mehndi designs photos leave me with an urge to get married ASAP! Jokes apart, this age old tradition of applying mehandi to a soon-to-be bride’s hands has an interesting reason behind it. It is said that since mehendi leaves (Lawsonia Inermis) contain properties that provide cooling effect, they prevent the nerves from getting too tensed. 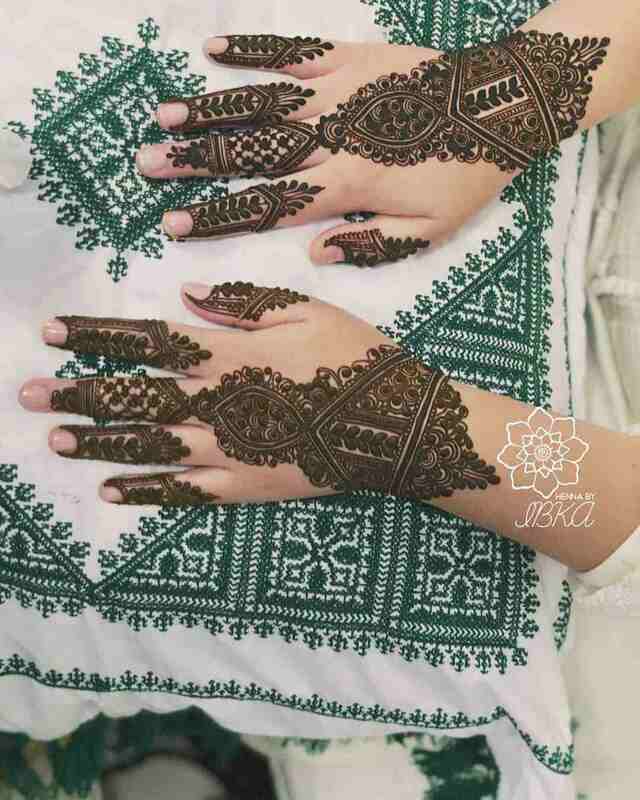 The soothing henna paste on the skin keeps all that wedding related hibbie-jibbies, stress and headaches at bay! Quite an amusing fact, right? 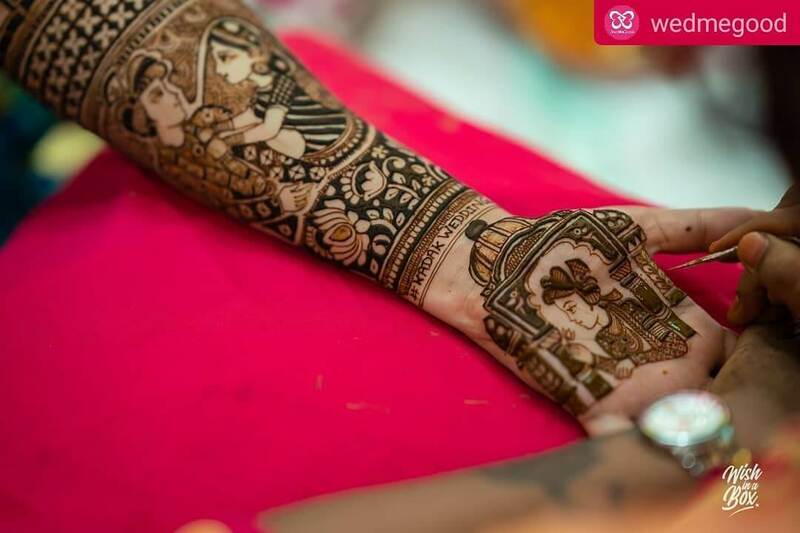 So mehendi doesn’t only add the beauty to an Indian bride’s look – but it also helps to keep her calm throughout the wedding functions. 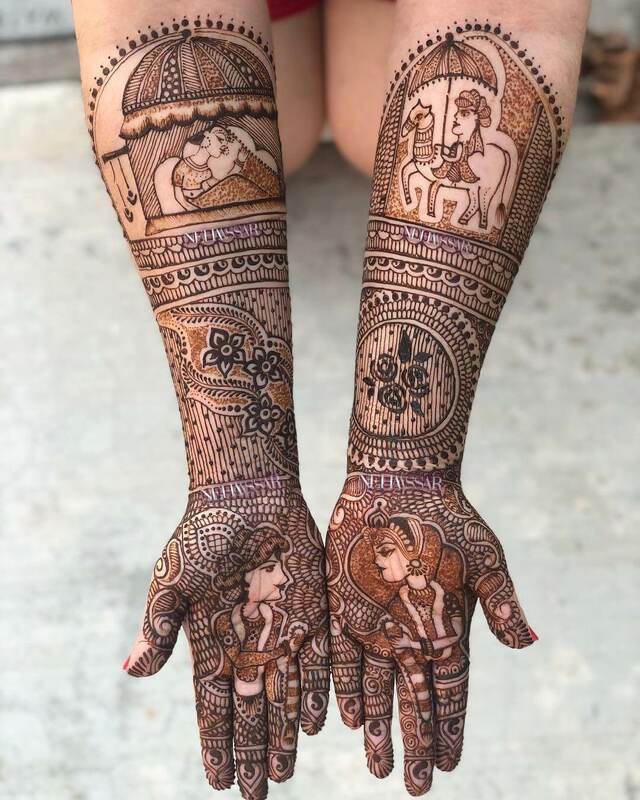 If you have enjoyed knowing about the lesser-known fact I shared above, then I am pretty sure that you are going to love this curated list of new and best bridal mehndi designs 2019 that would bring you some inspirations for your own mehndi! 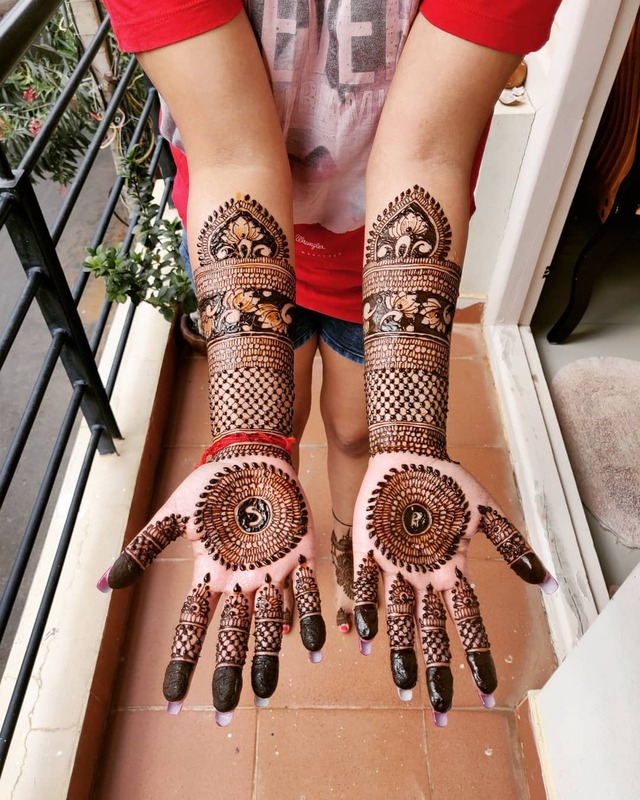 So if wedding bells are soon to sound at your home, then keep on reading the post to check out the latest 2019 bridal mehendi designs that are going to trend throughout this year! 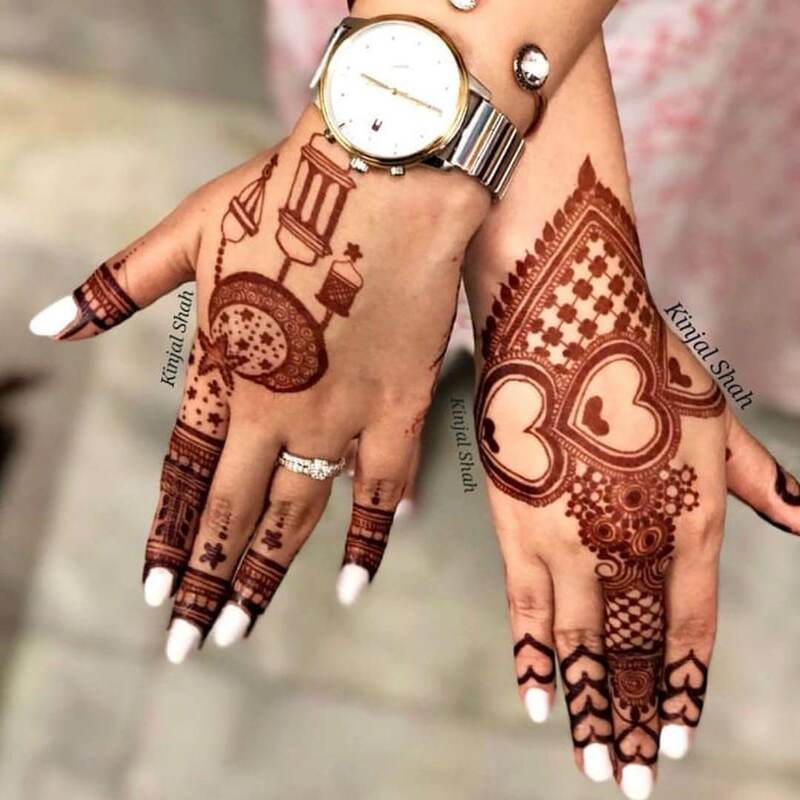 This insta-famous bridal mehndi design 2019 with a cute quote and portrait of the couple was loved by millions of people on the internet when it went viral. Writing down a cute/motivational quote on your mehendi design is a great idea as it would surely help you to calm your nerves (and ahem, save you from becoming a bridezilla!) by making you think positively everytime you would look at your mehendi and read the quote! 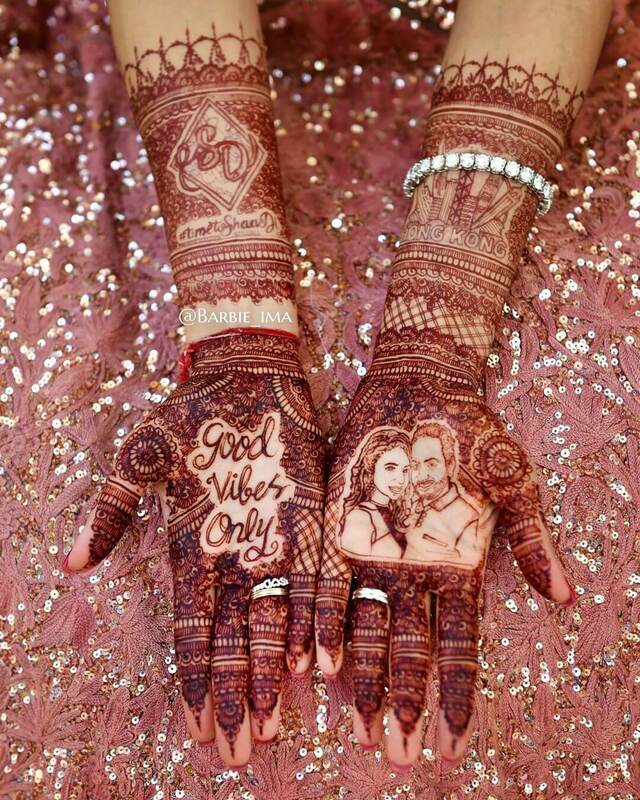 Here, the bride has etched the quote “Good Vibes Only” on her mehendi design for wedding. Desi weddings have beautiful rituals! And what can be a better way to portray them than getting them drawn on your hands! In this design, you can see cute portraits of the couple doing jaimala and sindoor rituals. Every story begins with a “yes”! 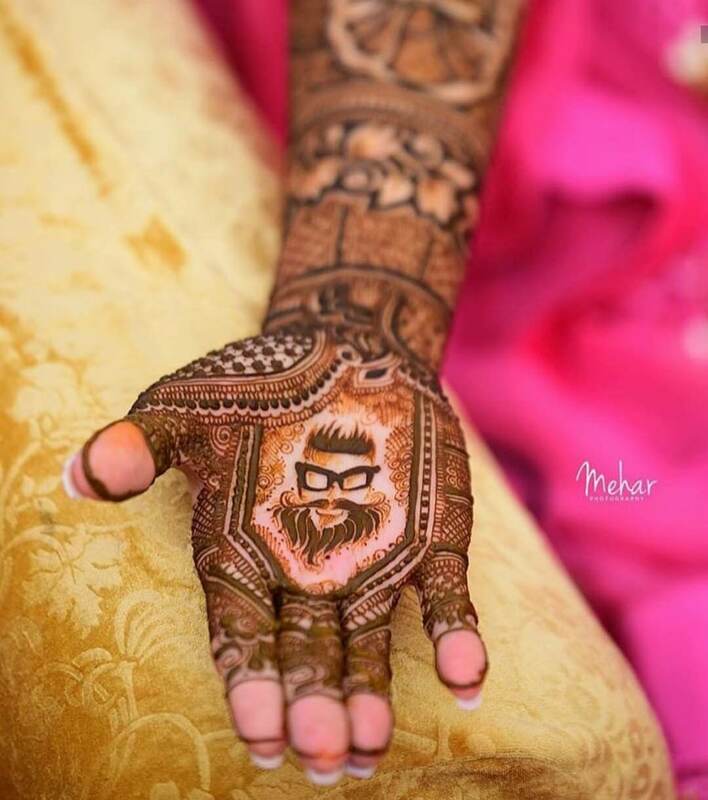 If you have a story to tell about your proposal, just get it etched on your mehndi like this bride! 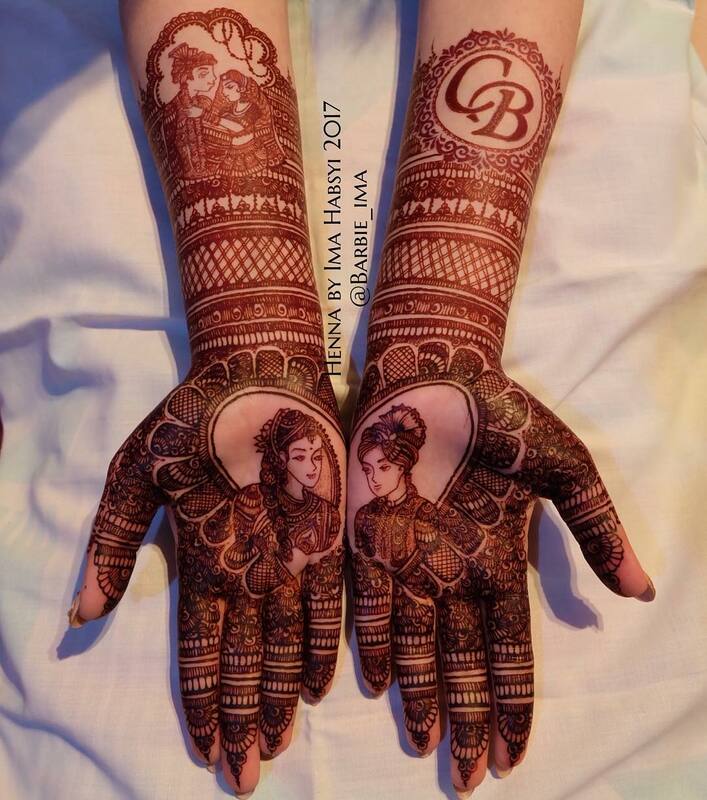 You can also get your “meeting place” and your wedding date drawn on your hands with the mehndi design. 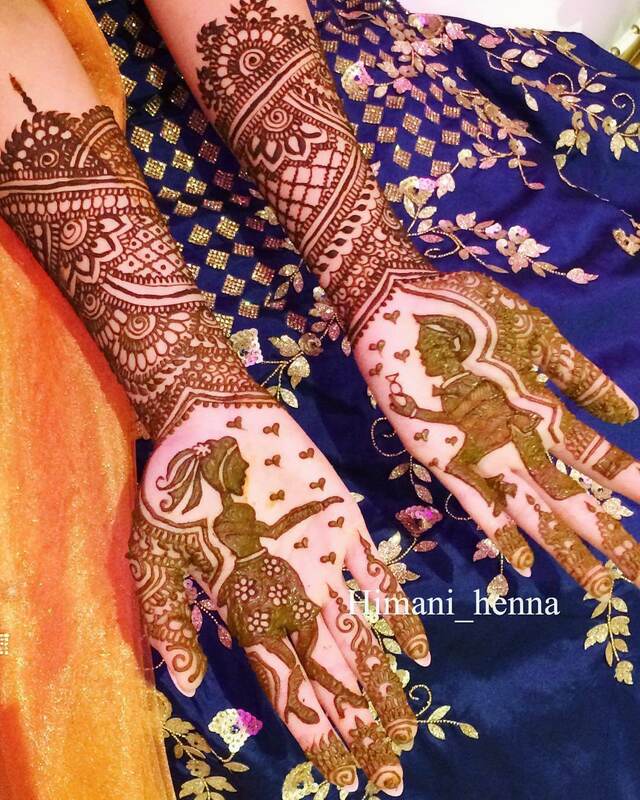 Such Indian bridal mehndi designs are totally timeless! They look super royal and elegant. 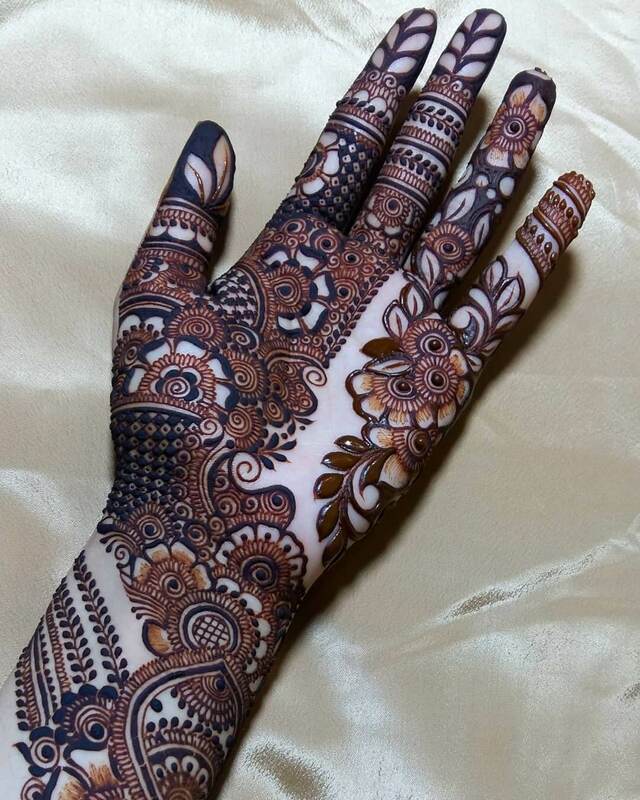 Floral zalidaar mehendi designs make the best back hand mehndi designs for brides. 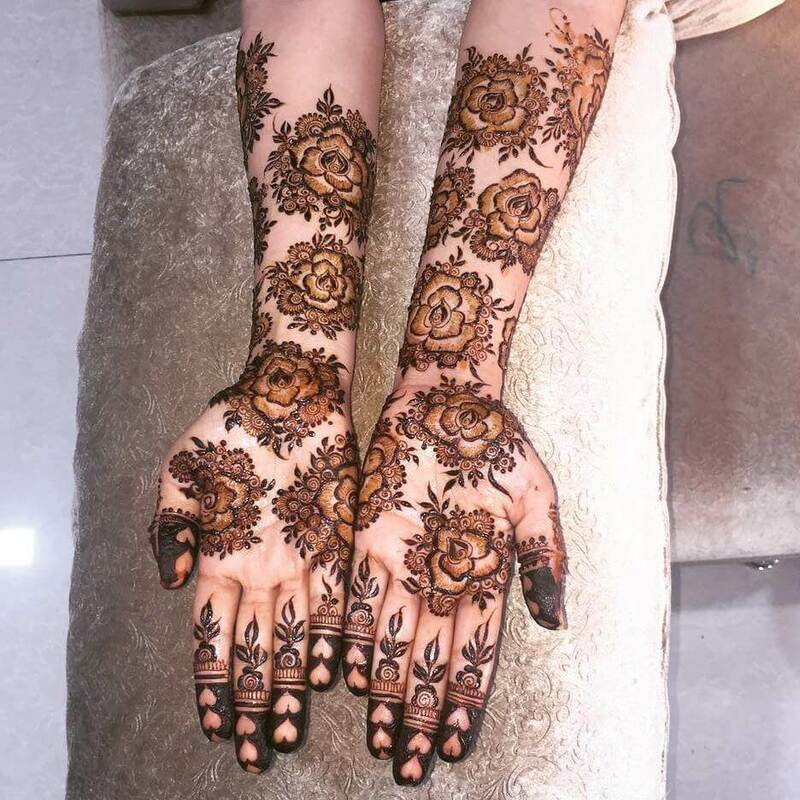 If you are getting such kind of zalidar bridal mehndi design done on your hands for your wedding, you can skip wearing hathpool jewelry and just wear a big statement ring that would go well with rest of your bridal jewlery. The zali patterns would do the job of keeping all the attraction towards your ring! 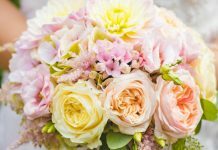 Having wedding hashtags is a trend which is here to stay! And if you have already decided one for your wedding, why not get it drawn in your bridal mehndi design? Your groom, bridesmaids as well as the groomsmen can also get it drawn on their hands – that would be a picture perfect moment! 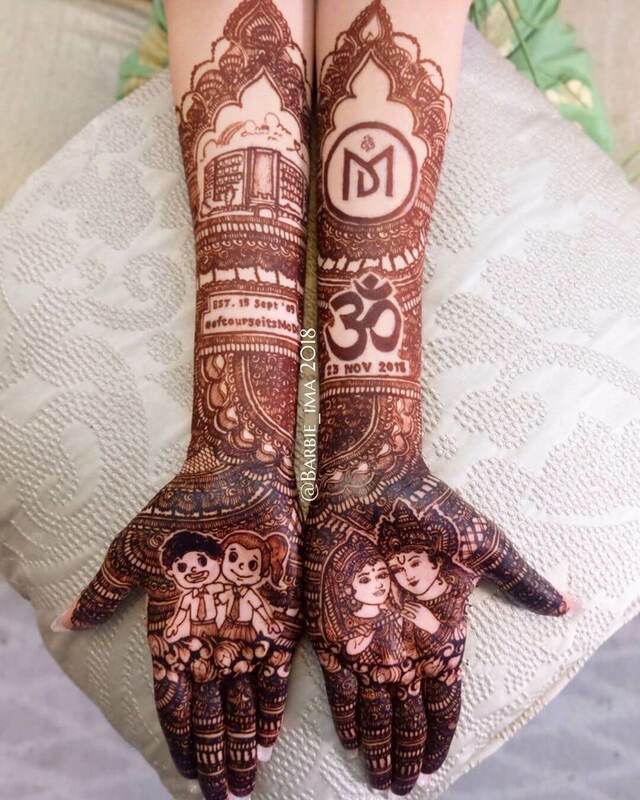 We click pictures to keep our memories with us for a lifetime, but with mehndi designs like this one, you can draw all the sweet memories that you have shared with your life partner on your palms! It would make your mehendi design the most unique one! 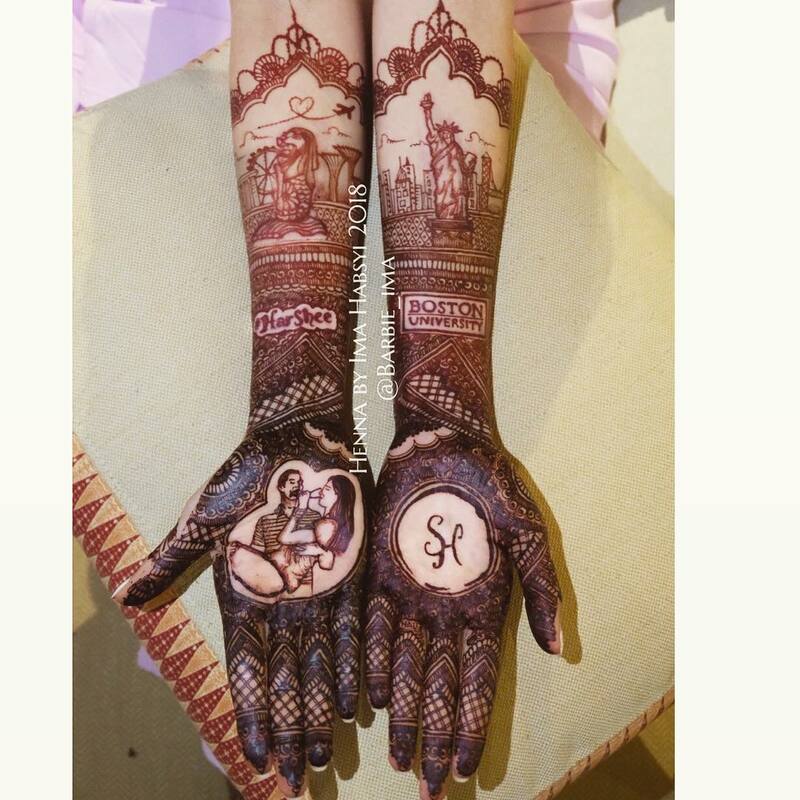 This bride also got her wedding logo drawn on her hands with mehandi. All love stories are special and they are always close to a couple’s hearts! Share your love story with the whole world in this sweet way for your D-Day. 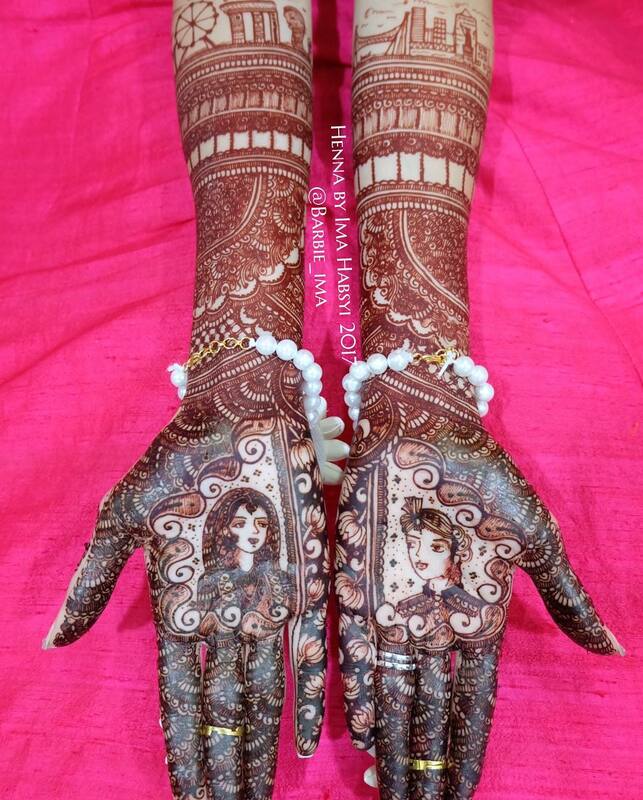 Portray the story of your eternal bond from the beginning with your love story mehandi design! Hello Disney lover brides out there, here is the cutest Disney inspired mehendi design just for you! 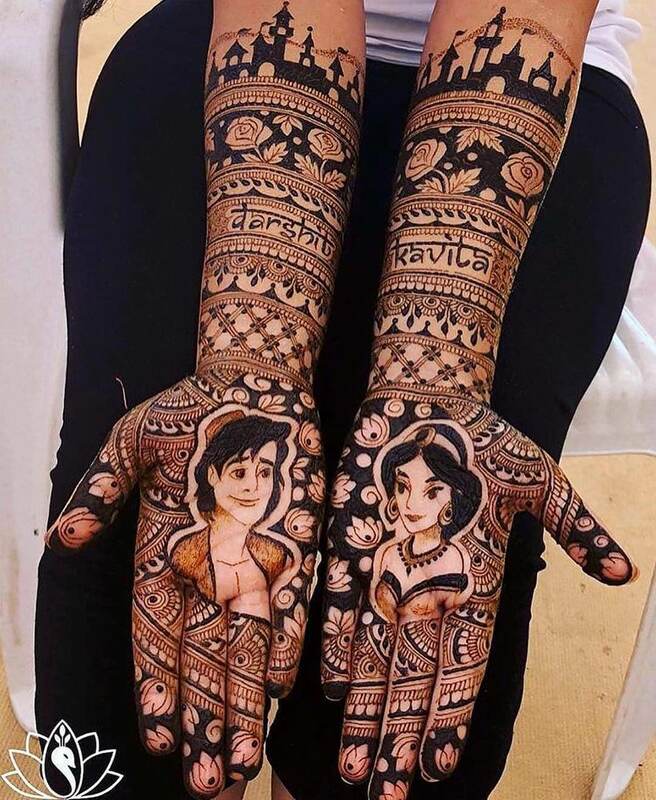 Aladdin and Jasmine are a beautiful portrayal of love, so there cannot be a more meaningful mehendi design for your wedding than this one! It is purely a magical design – isn’t it? Move over save the date cards for the announcement of your D-Day! Get your wedding date drawn on your hands for your engagement or roka ceremony. It would also look awesome in your pre-wedding photographs! Half and hand mehndi designs look perfect in mehndi shots when you put both of your hands together to reveal the complete design! You can draw circles or connecting hearts with this pattern. Bridal henna designs for Indian besides doesn’t always have to be too much, sometimes, even small designs are beautiful! 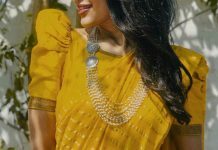 So if you are a minimalist Indian bride, you are going to fall in love with these minimalist mehendi designs for brides in 2019. 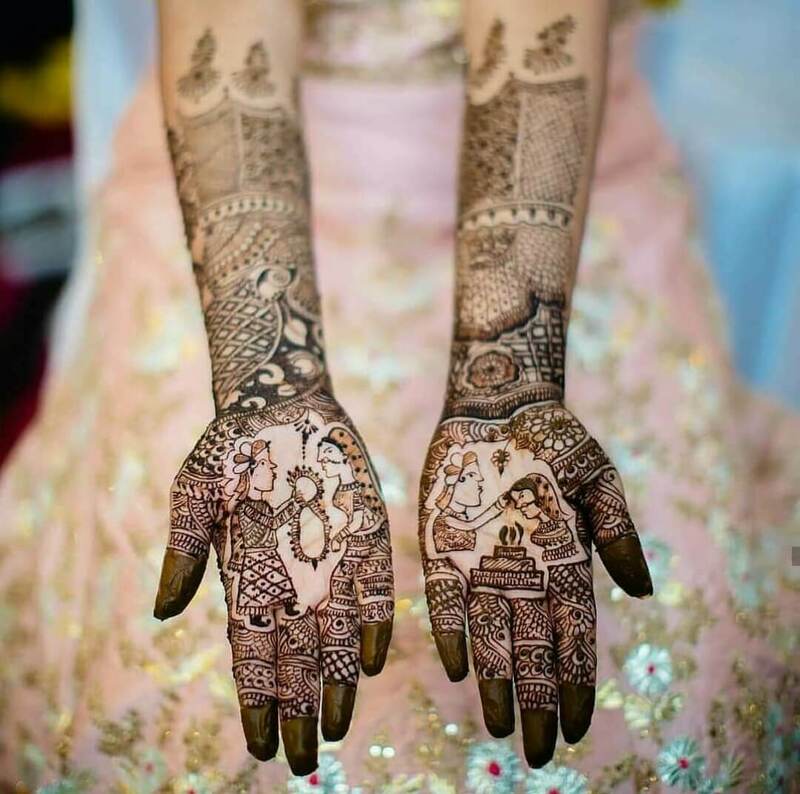 These mehndi designs would be loved by the minimalist bridesmaids too! 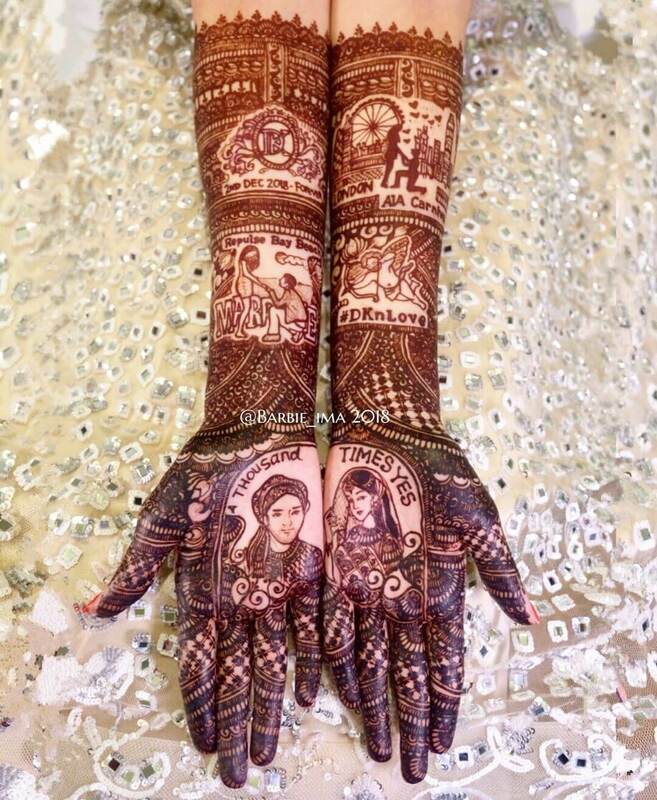 I specifically loved this simple mehandi design for bride. Not all brides like to get both of their hands covered in mehendi designs and if you are one of them, go with the simple design shown above! 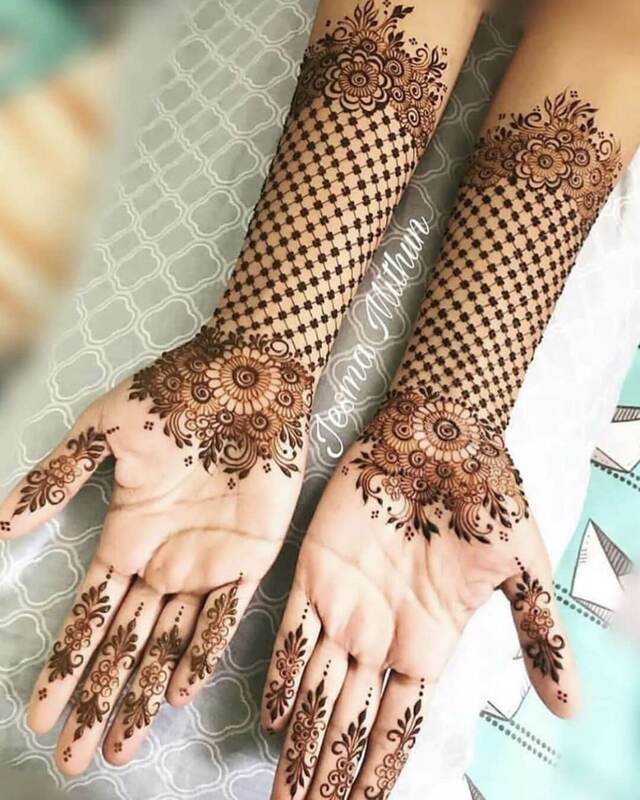 You would be showing off your back hand mehndi design in all of your pictures of wedding rituals, so make sure that you pick the most beautiful design out of these ones! Pro tip: If you want to add an extra glam to your back hand mehndi design, you can get the empty areas in it filled with glitter mehendi or add glitter stickers that are available in the market. 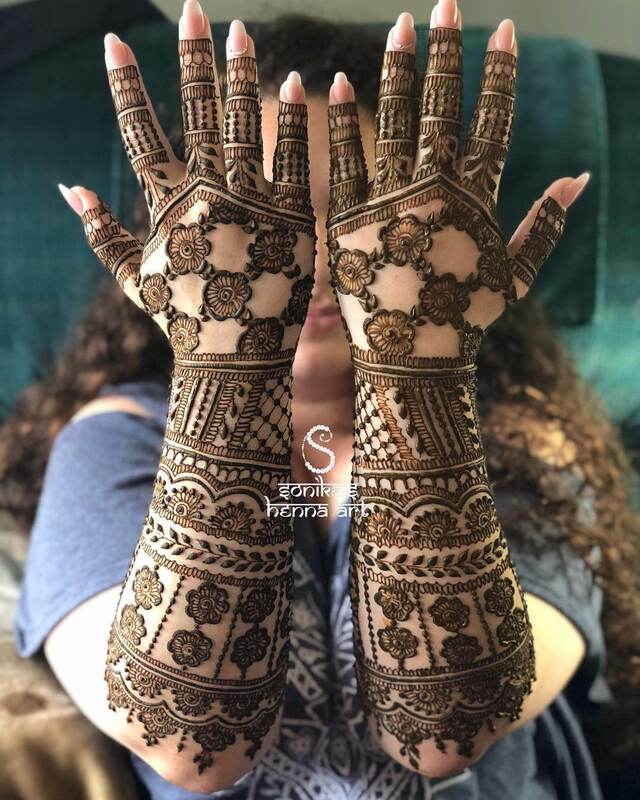 Haven’t found the bridal mehndi design 2019 that you were looking for? We have some more inspirations for dulhan mehndi designs 2019 below! 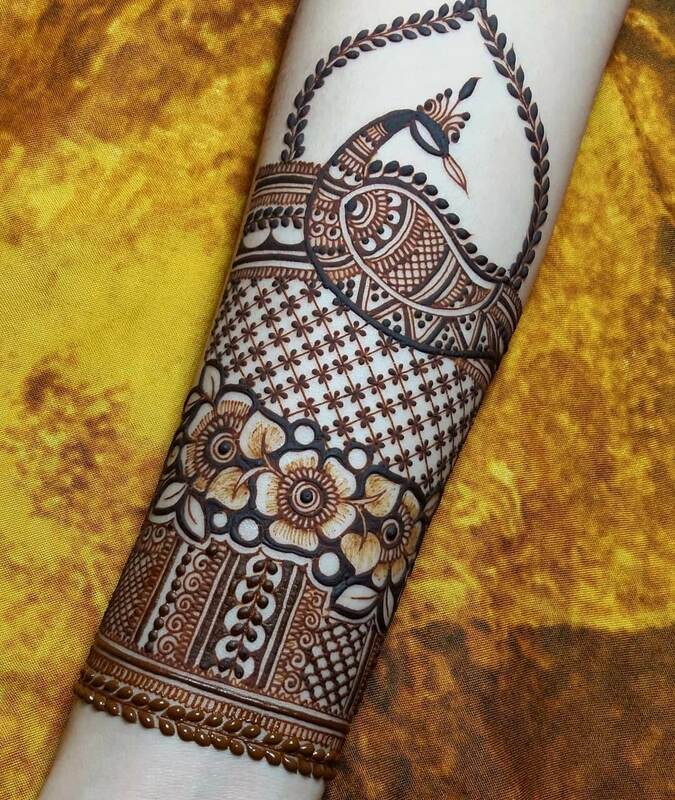 These intricately drawn mehndi grids are mesmerizing, aren’t they? The royal and sublime state of Rajasthan has its own beautiful arts, designs and traditions. 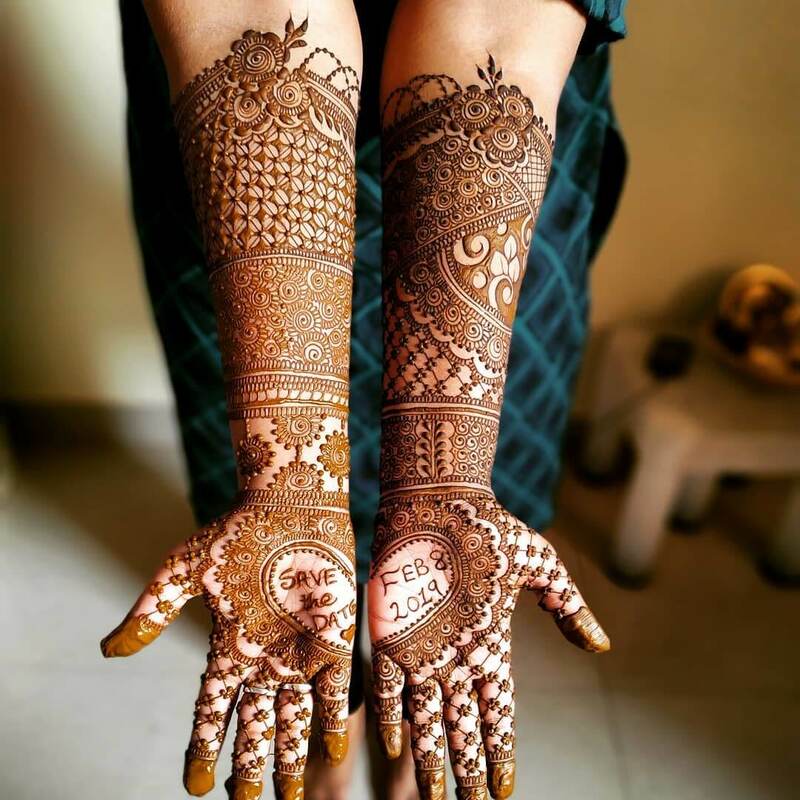 Rajasthani bridal mehndi designs for full hands are very popular among all Indian brides – no matter which states they belong to! That’s the beauty of rajasthani mehandi designs. 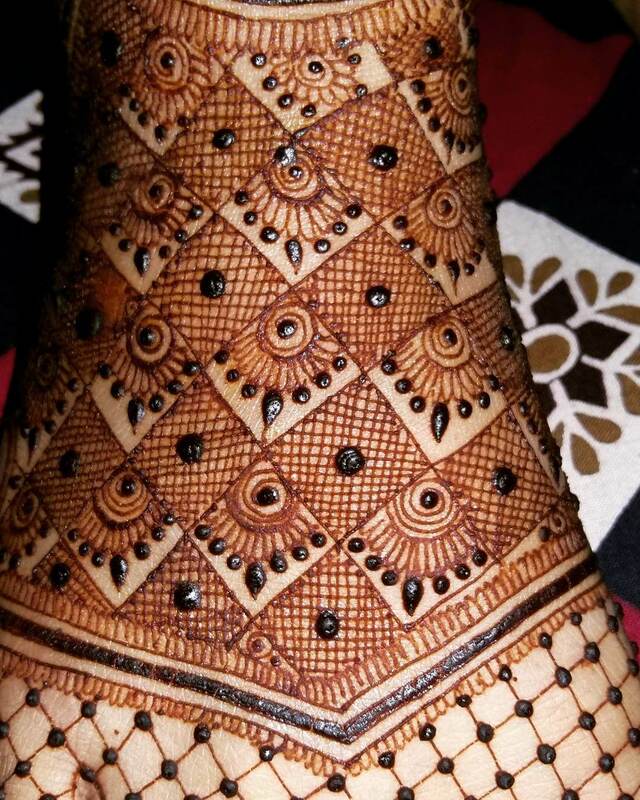 Round (mandala) patterns are very common in Rajasthani bridal mehndi designs. 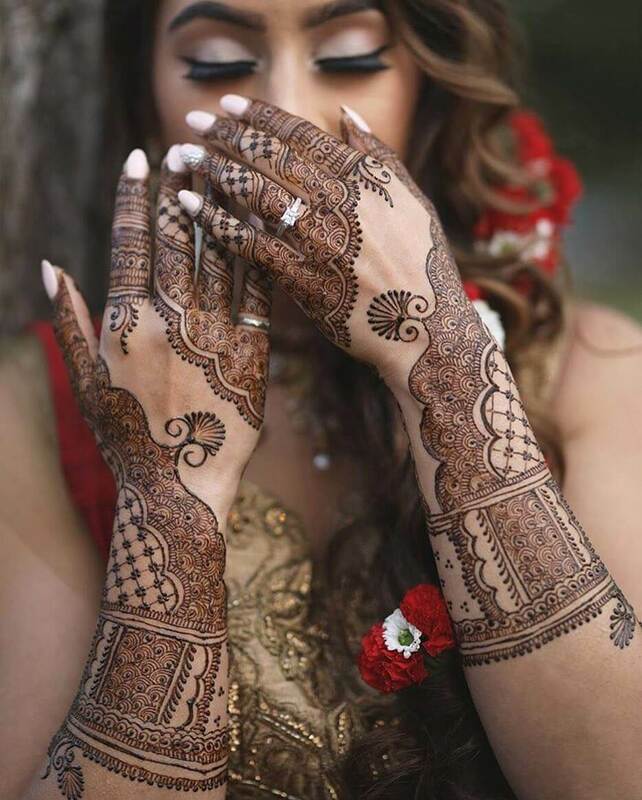 Arabic Mehndi designs are not that common with Indian brides as they are not as bold. They are drawn very thinly and are usually not drawn on the whole palm area. 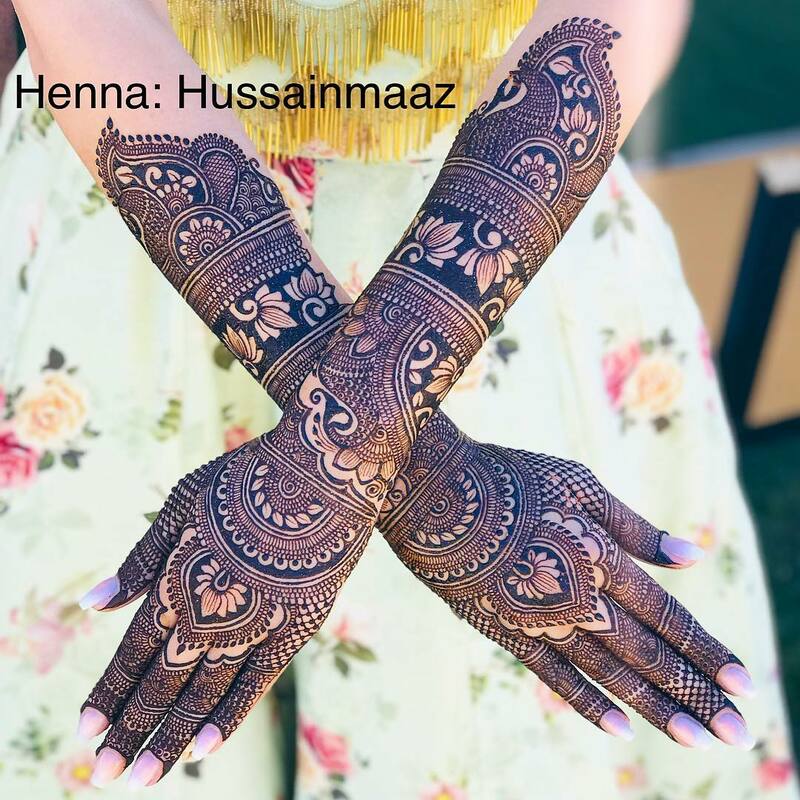 Here are a couple of latest mehndi inspirations that you may want to check out if you really love Arabic mehndi designs. 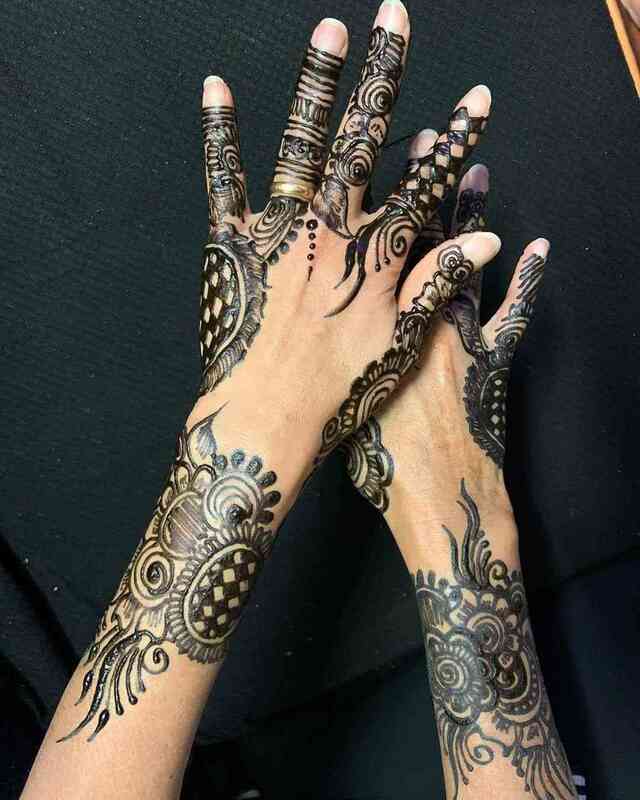 Full hand mehendi design for bride take a lot of time to draw, but they are always worth it! 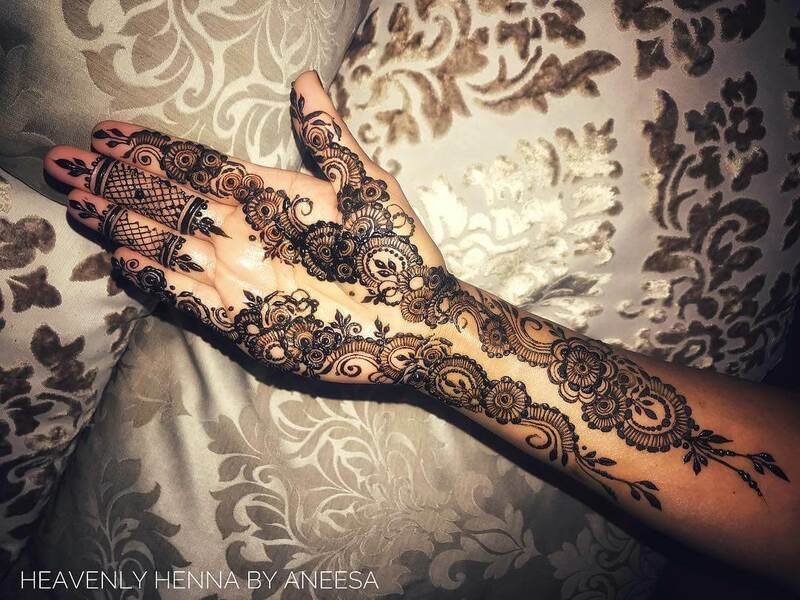 A lot of modern Indian brides are ditching the regular henna and opting for black mehndi. 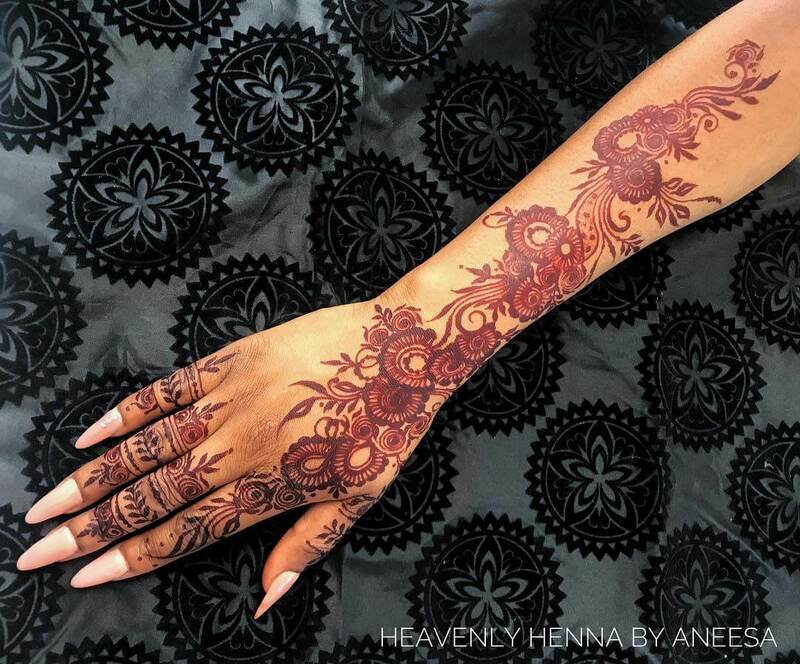 Unlike regular henna (which is mostly all-natural), black mehndi is adulterated with chemicals, hence, you don’t have to wait for it to dry so that it stains on your hands. 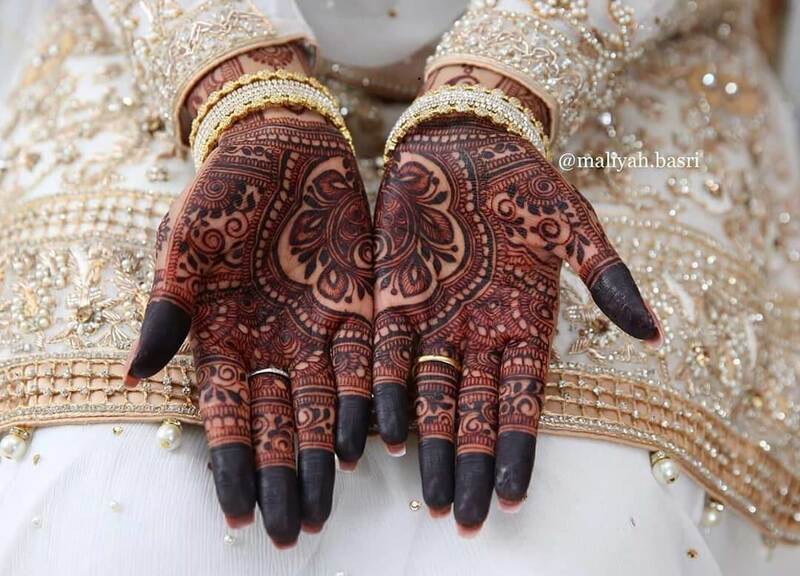 Chinese henna or black mehndi gives out a dark black stain immediately on the skin. 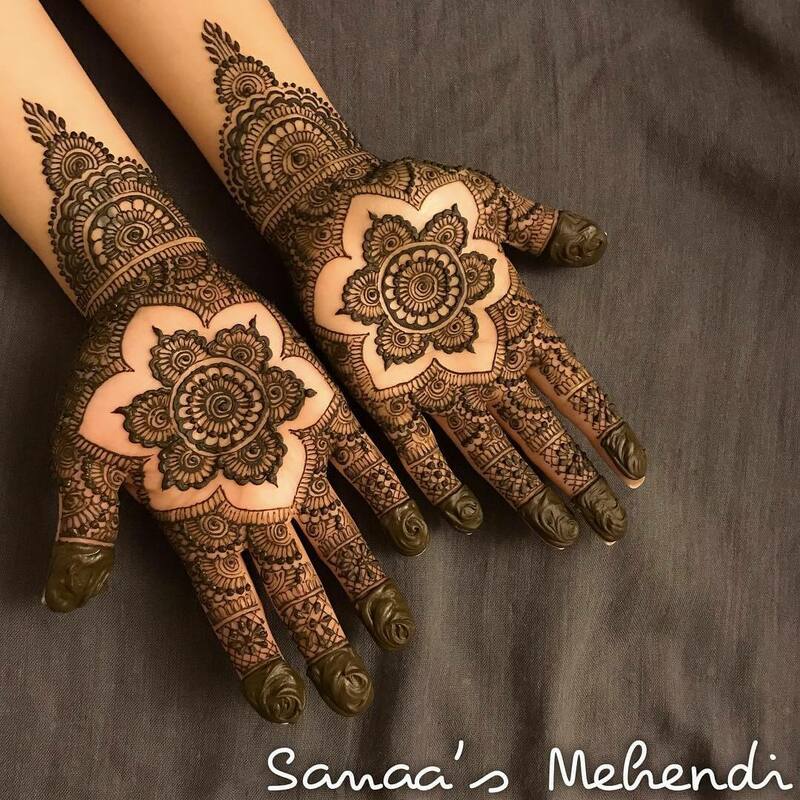 Hence, if you find it hard to roam around with natural mehndi on your hands for hours to get that beautiful deep brown stain, you can opt for black mehandi designs instead. P.S. 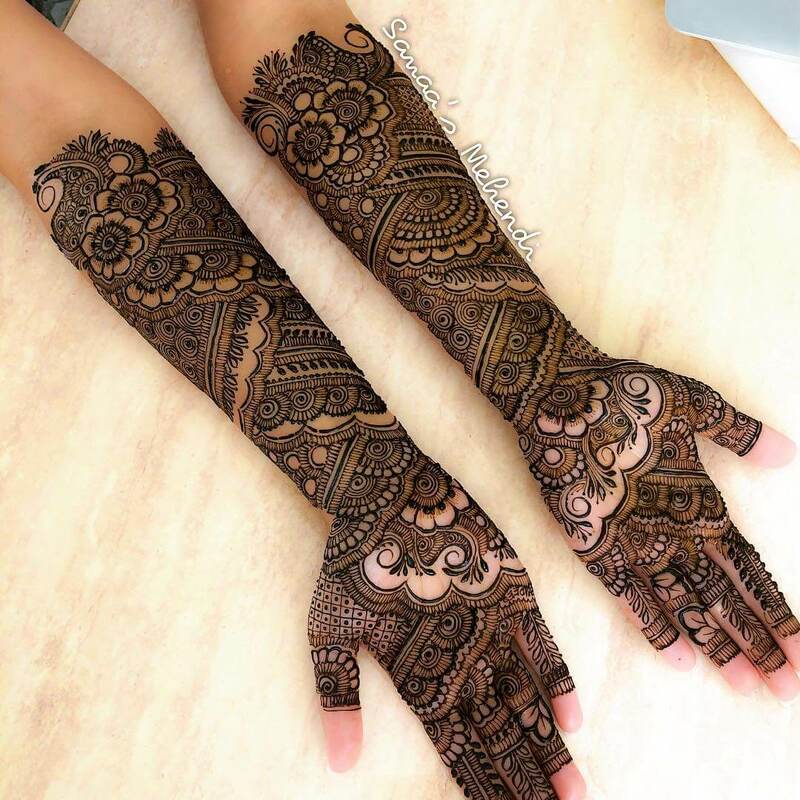 since black mehndi contains a lot of chemicals, it would be better if you do a patch test with it first – before you use it for your D-day. A lot of brides wear full sleeved blouses with their bridal lehenga, sharara, or salwar suit. So mostly with such wedding outfits, the mehndi design on their arm get covered with the blouse and only the mehndi design on the palms stays visible. 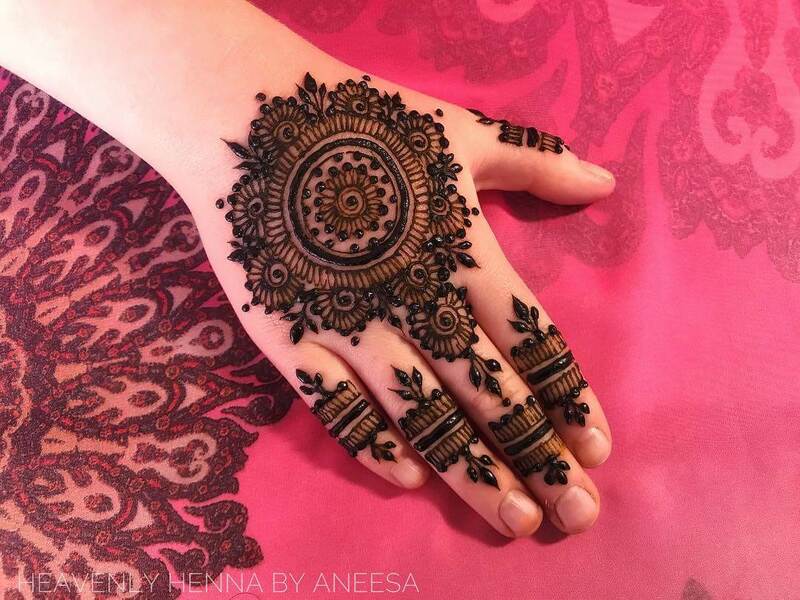 Keep the focus on your palms with these intricate and heavy full palm mehndi designs! 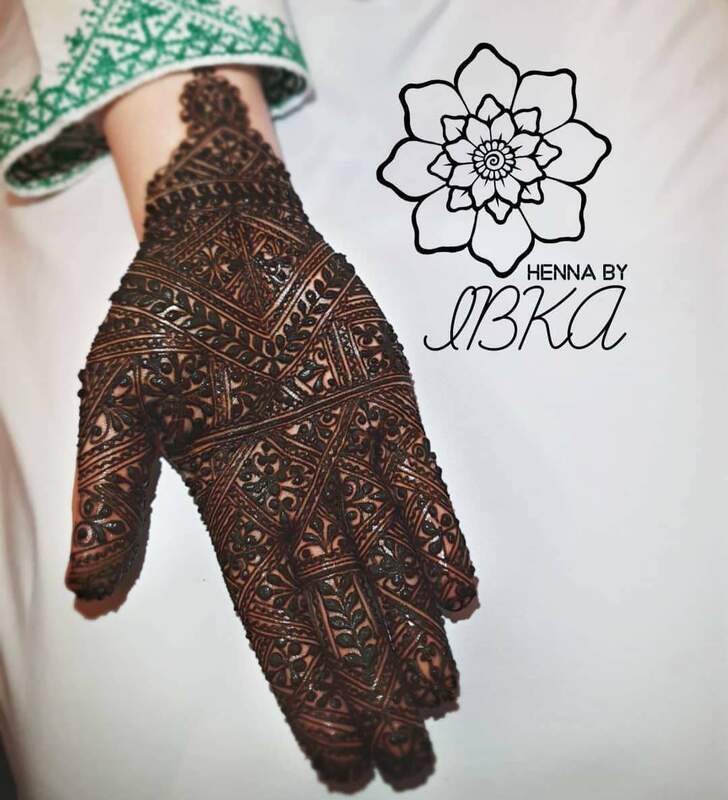 A Netherland based mehndi artist – Henna By Ibka, does a lot of breathtakingly-gorgeous intricate palm mehndi designs on her brides. I am sharing my favourite designs of hers below. 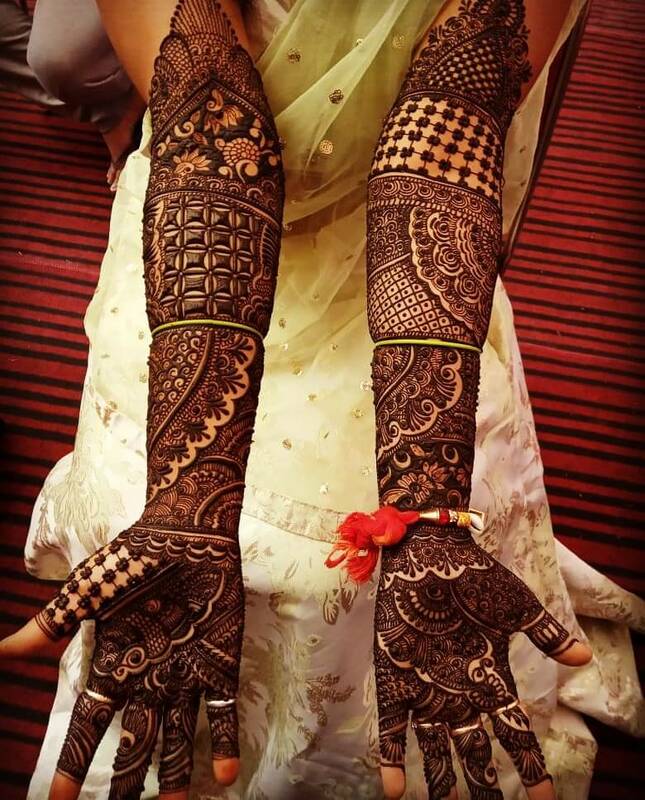 Pin your favourite bridal mehndi designs photos to your Pinterest board! Just hover on the image and click the Pinterest icon to save it! 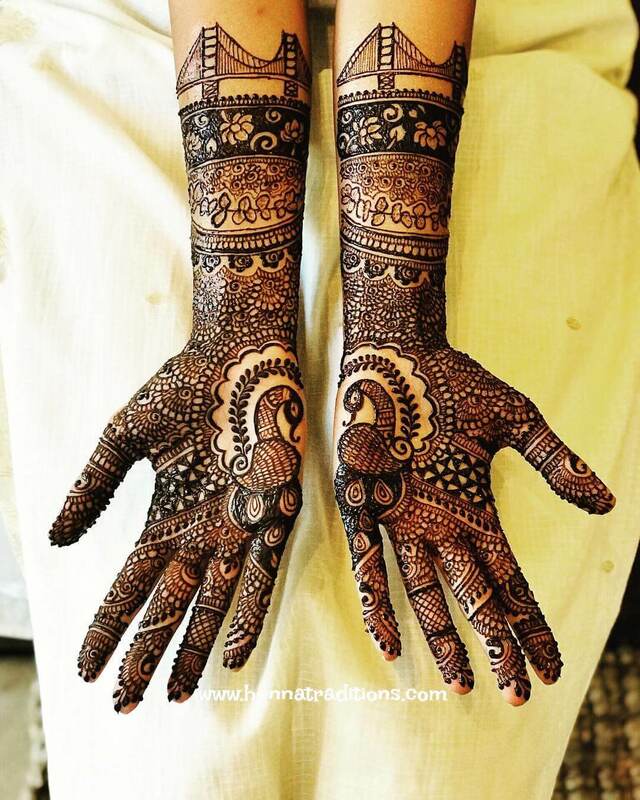 For more such inspirations, visit the mehndi designs section of our blog!